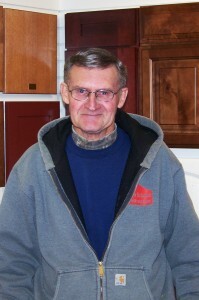 Bob Johnson has been a carpenter for Steven Schmidt Construction for almost 20 years. Hailing from Frost, Minnesota, Bob has two sons, Chad and Scott, and a grandson, Tyler. Bob has been working on his golf game in hopes of winning the annual Schmidt Construction golf tournament. He has a wonderful sense of humor, enjoys hunting and fishing and continues to work part-time for us in his retirement.